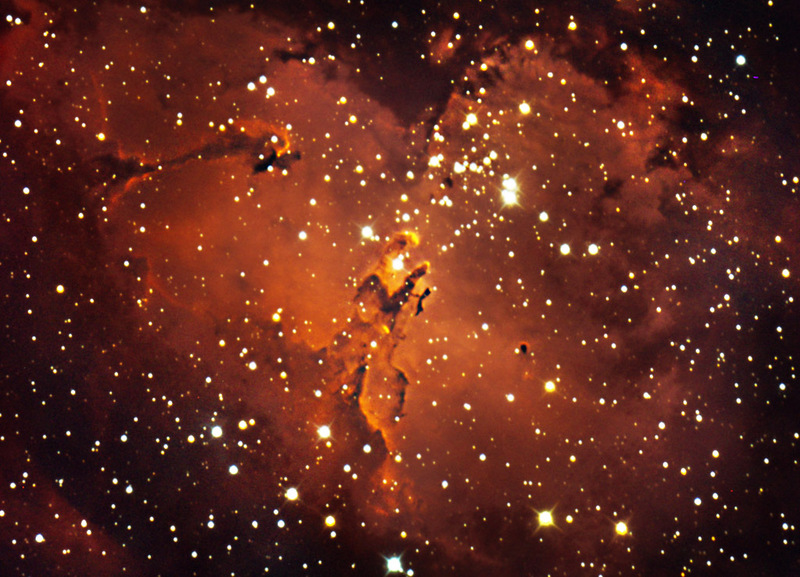 The Eagle Nebula is wonderful emission nebula, with the apparent image of an ‘eagle’ soaring high in it. This same eagle is where the famous Hubble Pillars of Creation image is. Located in Serpens (7000 light years away), this is generally low on my northern sky, but I was able to pull off a series of 10x 10 min subs that seem to process fairly well.